Pubblicato in: Human English Version! 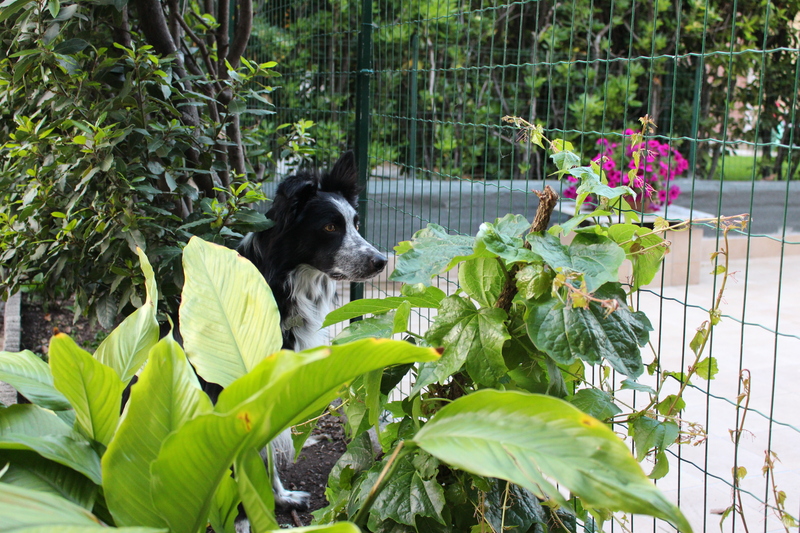 Border collies are dogs with strong personality and have an insatiable appetite. Brick is not only insatiable but he has also a “5 stars” taste. My neighbor is an excellent cook while I’m surely not, and therefore the smells coming from her kitchen are ever since like a drug for my family. Brick broke a piece of the fence between our houses and always showed up for dinner and lunch. My neighbor’s dogs have all the time some delicacies: tuna macaroni, meatballs, grilled salmon but borders are real troopers and the poor dogs had not even the time to put their muzzles in their bowls that a gentledog thief was already coming back home licking his mustaches. We mutually agreed, in order to keep good neighborhood relationships, to replace the old broken fence with a stronger and 1.80m high new one. Brick studied the issue seriously, measured the new fence covetously, stood on his rear paws to control the real height. Then he made his calculations: the time needed to climb over it was much more longer than the time food stayed in bowls, the neighbor’s dogs are slow not stupid. Hence brick changed his tactics. He stays in a strategic place to control through the fence the neighbors’ dinner table that can be perfectly seen if the window is open. He tries the hypnosis and it works. The neighbor surrenders and gives him a tidbit. He drools and looks at her gratefully ( she could call the animal care police if the doesn’t know us). She takes him some cheese and he loves cheese so much! Each meal some cheese. Borders are overbearing their sheep. At the very beginning he barked softly to have the neighbors’ attention now he barks fiercely making them stand up to give him some cheese. I was embarrassed that he went to his liking to the neighbors, now that he stalks them. Today the smelling coming from their kitchen was one of real gourmand and the Tomato macaroni in my sons’ plates made such a sad impression that they looked at each other then looked at brick. 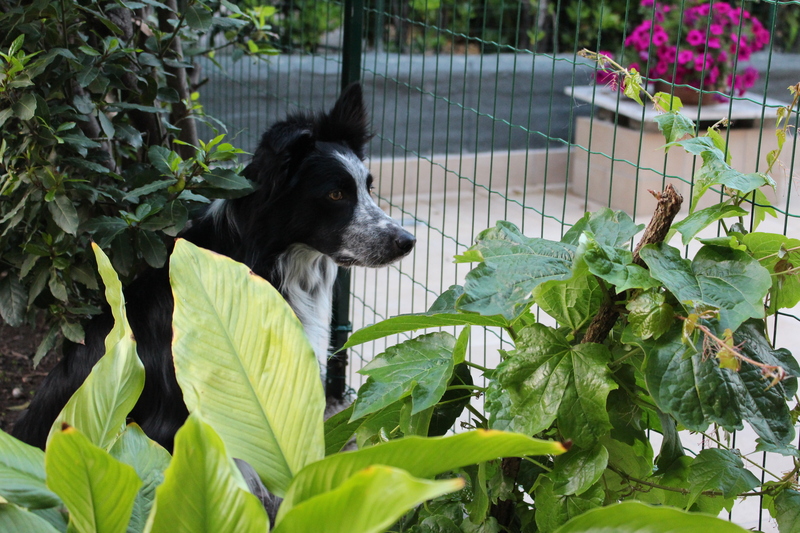 I think they wished to be border collies. 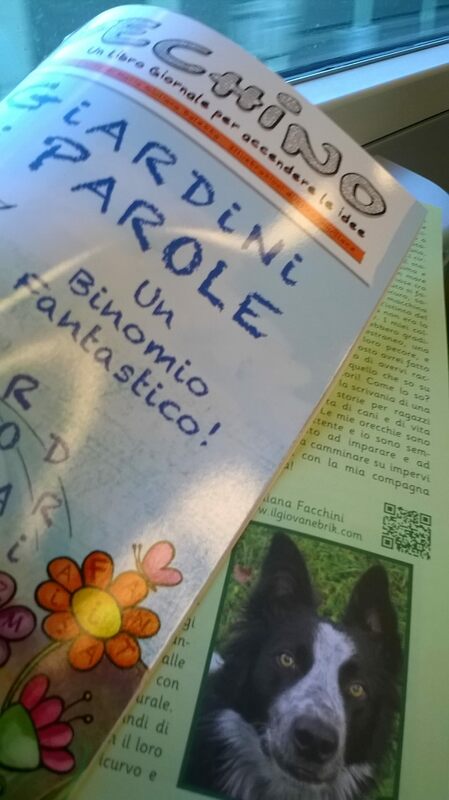 Pubblicato in: Canine English Version!, Fiutando Libri!, Human English Version! 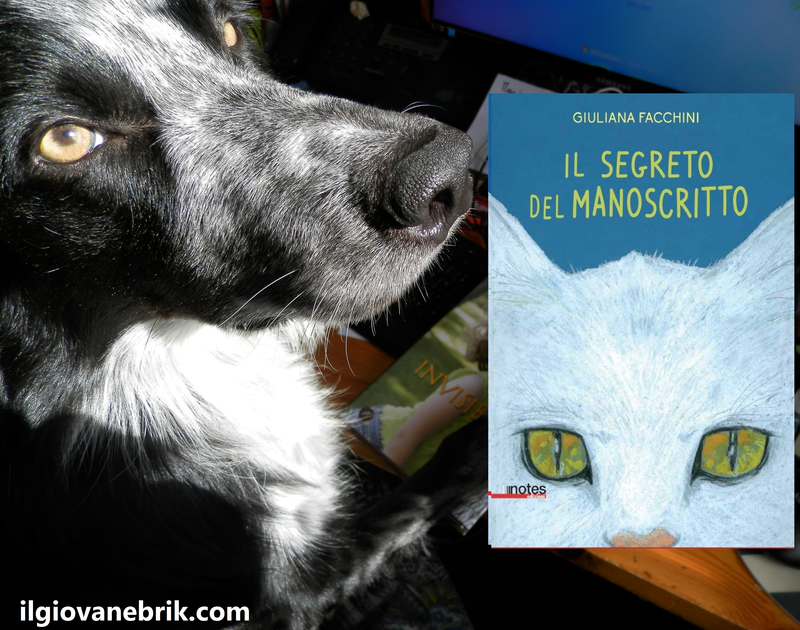 Sniffing out books…! Fiutando libri! 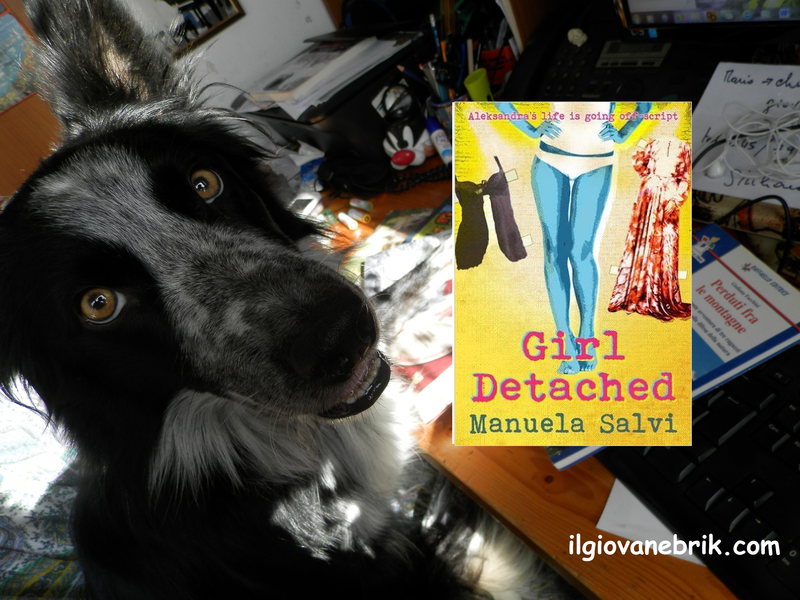 Girl Detached by Manuela Salvi Higlly recommed for Young Adult! Pubblicato in: Fiutando Libri!, Human English Version! 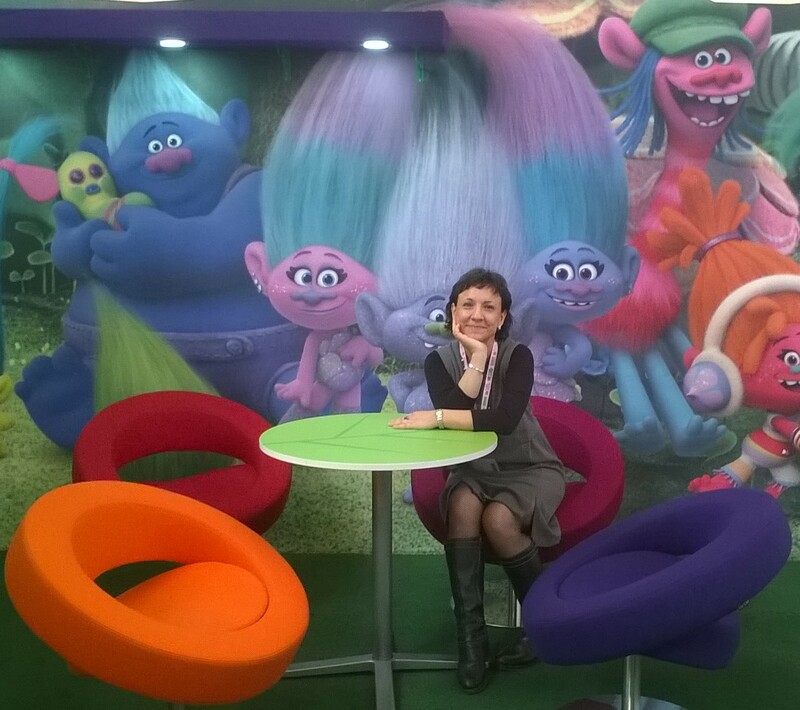 Dopo tre giorni alla Children’s Book Fair di Bologna mi rimane l’emozione di una fiera del cuore. After three days at the Children’s Book Fair in Bologna the feeling it wasn’t simply a book fair but a real “heart fair” is still in me. Sono appena rientrata dalla passeggiata mattutina con Bryce e lui, che è rimasto a casa per tre giorni a annoiarsi, è finalmente rilassato e felice di tornare alle nostre abitudini quotidiane. Bryce è sotto la mia scrivania, la casa è silenziosa, il tempo è uggioso. I’m just come back from the morning walk with Bryce and he, who stayed three days at home annoying himself, is finally relaxed and happy to have our daily routine back. Bryce lies under my desk, the house is quite and the weather is gloomy. Scrivere per ragazzi è per me un mestiere speciale, nei miei libri ci sono io e sempre io ci sono nelle relazioni umane che intreccio. Quella rete strana, fragile o d’acciaio che sono le amicizie. L’amicizia è uno dei temi che ricorre sempre nelle mie storie, l’amicizia è un valore che coltivo da sempre. To write children stories is a very special job: I’m always in my books and I’m in all the human relationships I weave too, that peculiar, fragile or strong net forming friendship. And friendship is one of the main subjects of all my stories, it’s one of the values I’m always cultivating. In questi tre giorni di fiera ho incontrato tante persone, ho capito che alcune amicizie sono salde e forti. Alle volte l’ho capito in un abbraccio o in un continuare a cercarsi: Sei al padiglione 29? Sto scappando a una presentazione! Andiamo ad ascoltare quell’autore, a sfogliare quel libro, a mangiare un panino…? Altre volte l’ho capito in quindici minuti di conversazione fitta fitta, condensata, piena di parole importanti. During these three days I met a lot of people, I realized some friendships are strong and steady; sometimes I could understand it through a hug or just because we were keeping on searching each other: Are you at stand 29? I’m going to a reading… let’s go listening to that author, to read that book or to eat a sandwich??? Other times I realized it in a 15 minutes intense conversation full of important words. Poi in fiera ho incontrato persone che volevo conoscere e in pochi minuti ho capito che l’empatia funziona anche tramite la rete internet e abbracciarsi è stata solo una conferma. 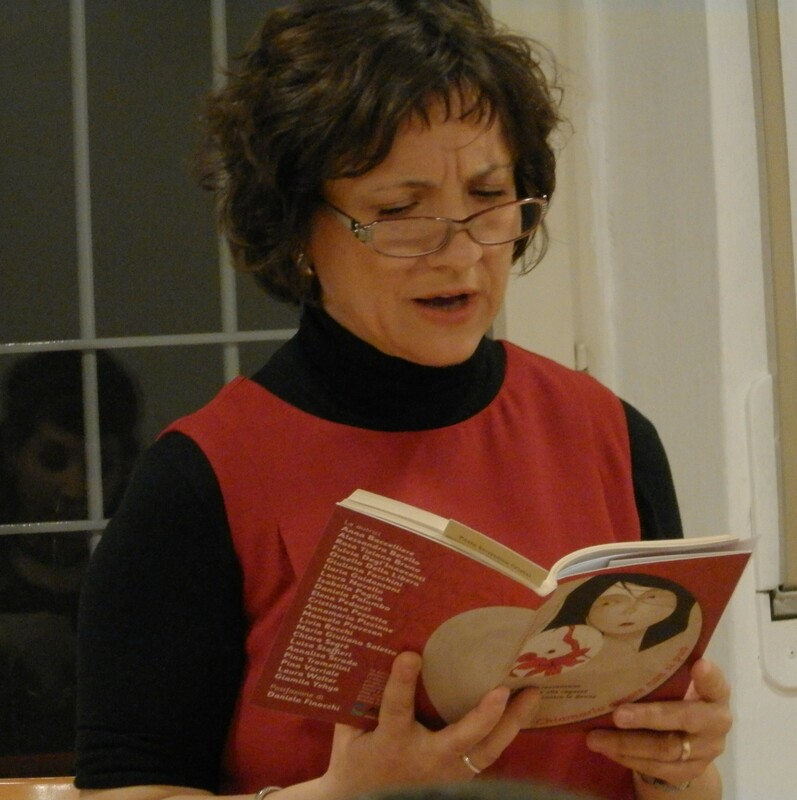 So che quelle persone rimarranno nella mia vita di scrittrice, lettrice, promotrice dell’amicizia leale e senza barriere per la quale abbiamo con spontaneità gettato le basi. At the fair I met people I would like to know and in a few seconds I felt that empathy works also through internet and to embrace each other is a further proof of it. I know those people will stay forever in my life as a writer, reader and promoter of leal and no barrier friendship, for which we spontaneously lay the foundations. Il mio ultimo libro era sul banco dell’editore. Gli occhi magnetici del gatto mi hanno incoraggiato, rassicurato, guidato e una filiera di bellezza e di positività nel mondo dei libri per ragazzi si è rivelata ai miei occhi. Autori, editori, lettori, bibliotecari e librai che credono nel potere dei libri onesti, quelli che regalano emozioni e aiutano tutti noi a crescere. Continuano a tornarmi in mente le parole di Roberto Piumini che, sintetizzate, esortano a non banalizzare. 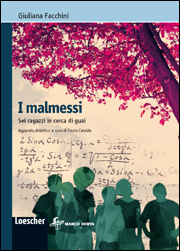 Non banalizziamo il potere della letteratura per ragazzi, alimentiamolo con passione sincera e semineremo bellezza. My last novel was on the editor stand. The magnetic cat’s eyes encouraged, reassured, guided me and a beauty and positiveness die in the children books’ world revealed to my eyes. Authors, editors, readers, librarians and booksellers believing in honest books’ power, those giving emotions and helping us to grow. Since then Roberto Piumini’s words are still in my mind. Shortly they urged us not to trivialize. Don’t trivialize children literature’s power but instead let’s feed it with honest passion and we will spread beauty. Nel mondo di oggi si può, forse, chissà… ci crediamo? In today’s world it could be possible… we can, perhaps, maybe… do we believe in it? 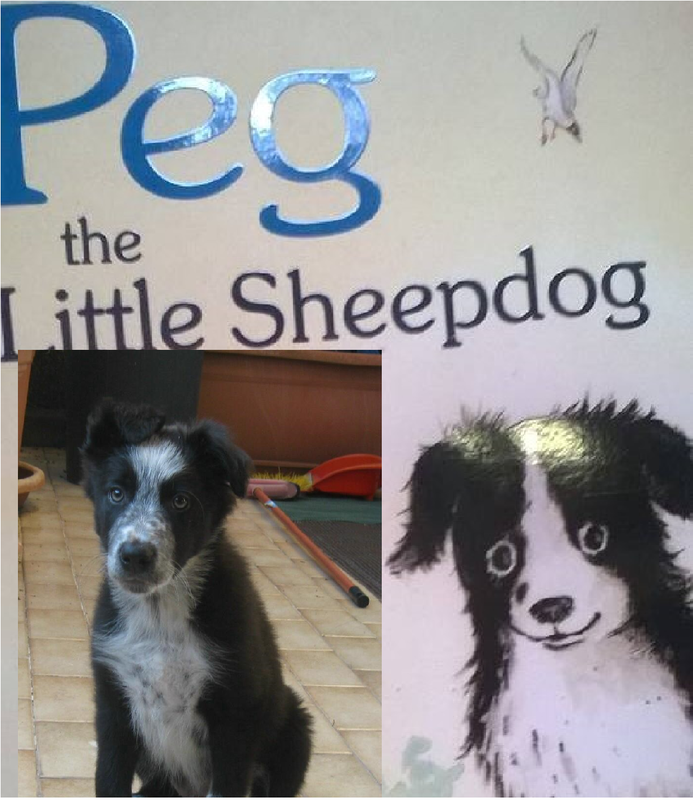 Sono tornata a casa da Bologna con tanti libri, alcuni con dediche meravigliose e dolcissime e con il libro del piccolo Sheepdog che tanto assomiglia a Brik. 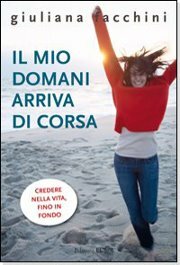 L’editore scozzese Floris Books non poteva vendermi quel libro che i miei occhi avevano individuato il primo giorno con un’attrazione fatale. Chi ha disegnato quel cane lo conosce bene e un legame invisibile che sfida la distanza e la velocità della luce si è creato immediatamente. L’editore ne ha messo da parte una copia e l’ultimo giorno me l’ha regalata. Io ho regalato in cambio una copia di Echino dove c’è l’articolo del Brik. Non è stato un contatto di lavoro, è stata una relazione umana tra persone, passata attraverso il mio inglese approssimativo e le pagine dei libri. Ho ricevuto in dono un libro che adoro e la gentilezza di un’editor scozzese. 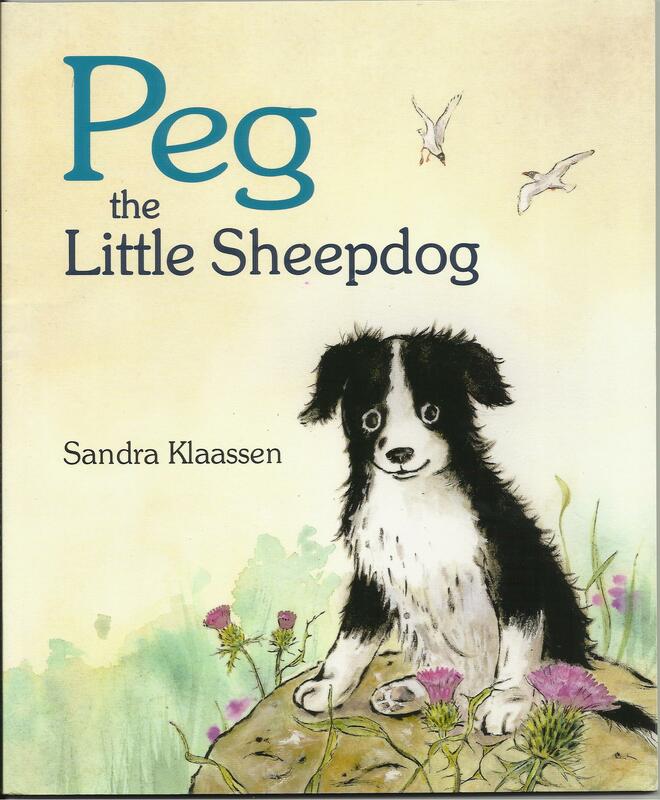 I came home from Bologna with lots of books, some even with beautiful and very sweet dedications, and with a special book about a little Sheepdog who is so very like Brik. 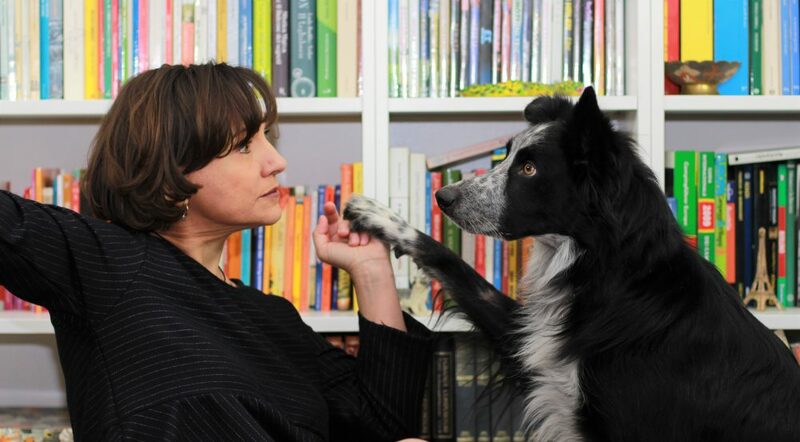 The Scottish editor Floris Books couldn’t sell to me that book, which fatally attracted my eyes from the very first day… who drow this dog, knows him very we’ll and an invisible relationship, challenging distance and the speed of light, created immediately. The editor kept one copy for me and last day she gave it to me. In exchange for it I gave her a copy of Echino, where there is an article of Brik. … è tutta questione di naso! … it’s just a matter of nose! Bryce al parco gioca con la sua pallina. Gli chiedo di stare fermo, la lancio e lui potrà andare a recuperarla solo quando io dirò: OK!!! At the park Bryce plays with his ball. I ask him to stay, I throw it and he can go to fetch it only when I say: OK!!! E’ inverno pieno, ma il freddo quest’anno è arrivato tardi. Un tappeto di foglie morbide di bruma, gialle, rosse e arancioni ricopre il terreno. Arriva un Beagle femmina. 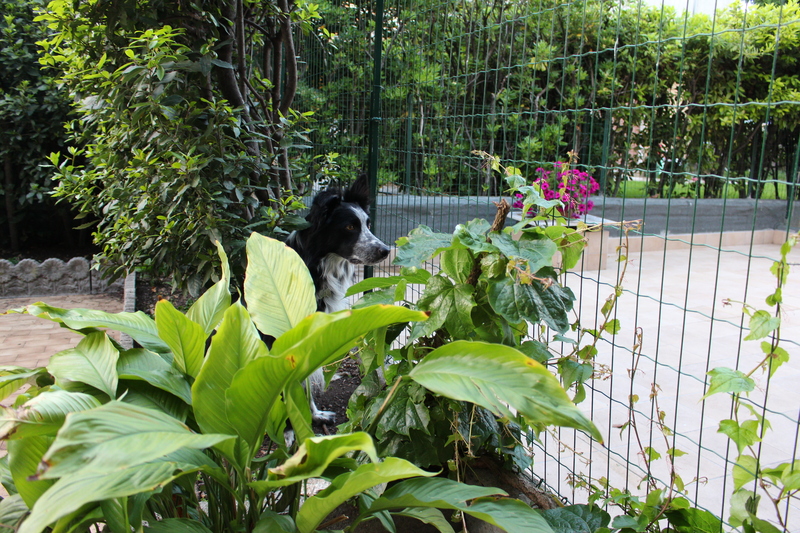 Una simpatica cagnolona sovrappeso e allegra. Tiro lontano la pallina e Bryce corre a cercarla. Si lancia all’inseguimento, salta, affonda nelle foglie, si rotola e infila il naso nell’erba alla ricerca della sua preda di caucciù. It is midwinter, but the cold arrived late this year. 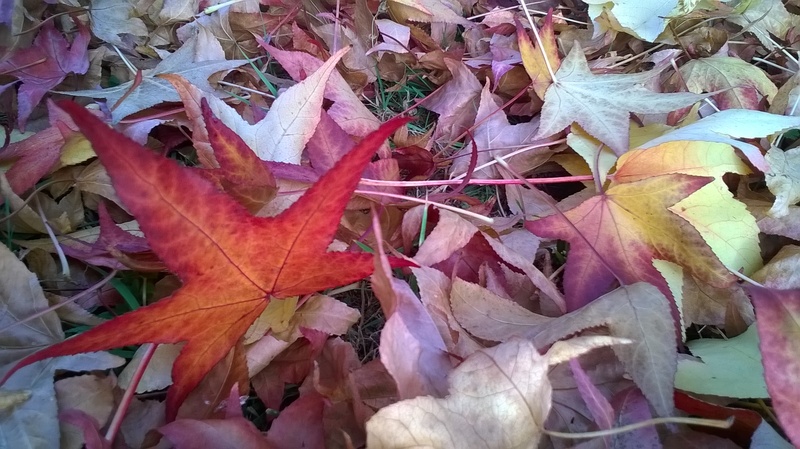 A carpet of soft, misty, red, yellow and orange leaves covers the ground. A female beagle arrives. A nice, overweight and cheerful dog. I throw the ball far away and Bryce run to search it. 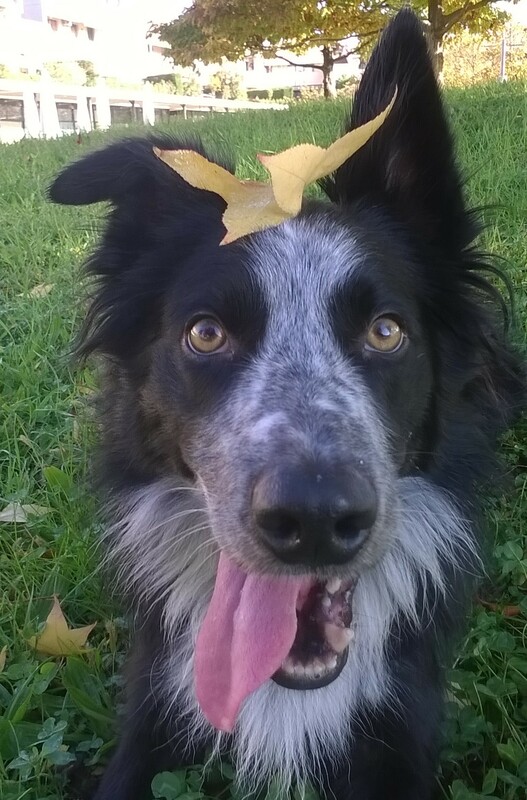 He gives chase, jumps, sinks in the leaves. He rolls and sticks it’s nose to the grass searching its rubber prey. Arriva Wendi, la Beagle, al trotto e senza neanche abbassare troppo il naso sul terreno segue le tracce della pallina. Bry ha sollevato terra e goccioline di bruma con la coda a spazzola e allegro perlustra tutto intorno: gira e rigira e cerca. Fiuta e s’accanisce nella caccia come un lupo nel bosco. Wendi non devia il percorso, che sa già essere il più breve per arrivare alla pallina, e non ci mette neanche dieci secondi a scovarla sotto il f ogliame e a prenderla in bocca. Con occhi dolci e orecchie morbide come una cascata di capelli castani guarda Bryce: se non avesse la pallina tra i denti si potrebbe pensare che sorrida. Wendy, the beagle, arrives trotting and even without lowering to much her nose to the ground, she follows the ball’s tracks. Bryce lifts ground and mist drops with his brush-shaped tail and cheerfully scouts all around: he turns and turns and searches. 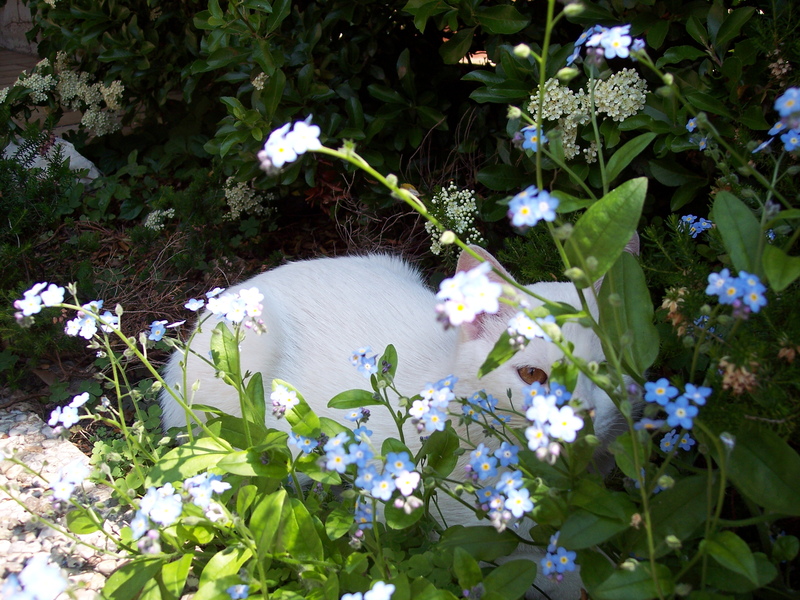 He sniffs and insists hunting like a wolf in the wood. Wendy doesn’t change her route, that she knows to be the shortest one to the ball. She needs less than 10 seconds to find and take it in her mouth. With sweet eyes and soft ears that remind a soft cascade of brown hairs, she looks at Bryce: if she hadn’t the ball in her mouth you could think she is smiling. Caro border, è tutta questione di naso! Dear border, it’s just a matter of nose! He’s just a dog. Yet I don’t like to humanize animals, even if today it’s quite natural: cartoons, books, games do it. It’s easy to forget the science called ethology and play with imagination. I’m doing it too on my blog! And yet although I try to keep my feet on the ground and my head on my shoulders I can’t help been amazed by some of Bryce’s behaviors. I warmed a slice of pizza and I told to my son to take it. Ten minutes went by and then 15 and he totally forgot the pizza loosing his mind in his thoughts (homeworks, music, chat). Bryce, who followed carefully the event, stood up on his rear paws took the pizza’ sedge and brought the slice to his human brother. He put it at his feet and looked at him. He seemed to say:” Are you eating it? If you aren’t, I will”. The fact remains: this behavior amaze and fascinate me at the same time. I would like to know what activated this behavior in Brik’s head, but I settle to look into his amber eyes which are telling thousand of stories, and his stracciatella-colored muzzle with his hanging tongue that makes him looking like he’s always smiling. 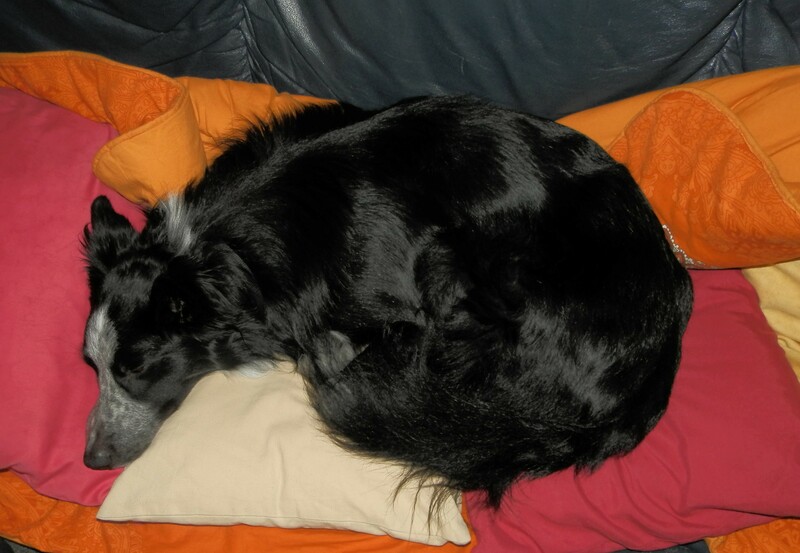 It’s fine to know he is part of a family, ops…pack! Obviously I’m only kidding…or not??? 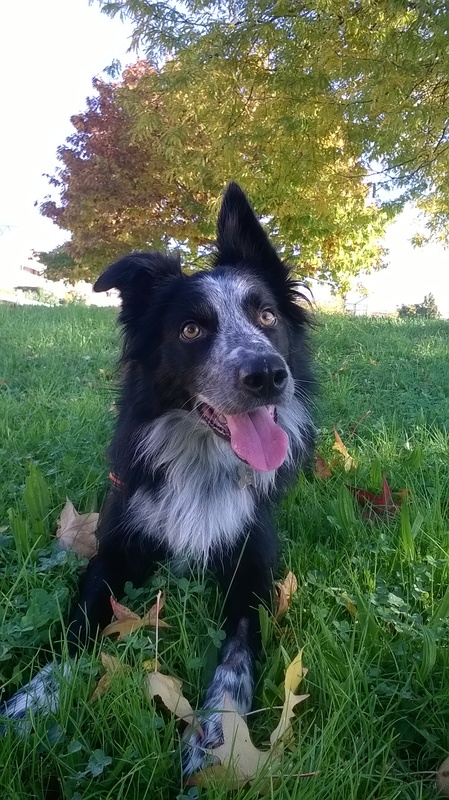 Italian version: è solo un cane…? 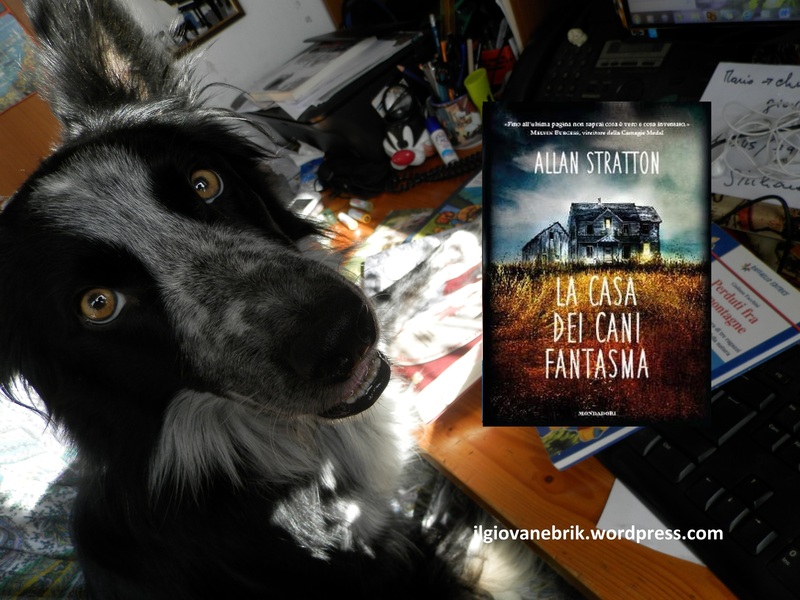 Ho letto “La casa dei cani fantasma” di Allan Stratton e mi ha conquistata. Una volta iniziato a leggere, non si riesce a smettere. Una storia avvincente, attuale, originale tra i romanzi contemporanei, che mi ricorda i grandi romanzi del passato. Uno di quei libri che resta, non passa. Felice d’incontrare libri così. I read “The dogs” by allan Stratton and I really loved it! A fascinating, actual and original story among the contemporary novels, which reminds me the great novels of the past. One of those books that remains with and in you and never goes by. I’m happy to find such books. 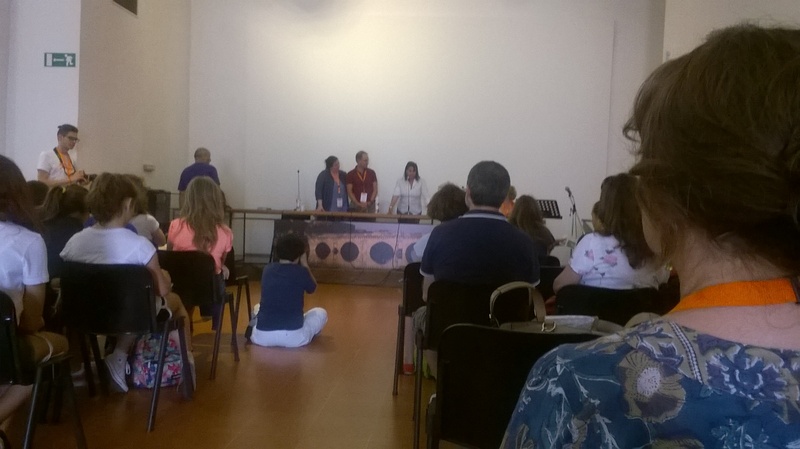 Ho avuto il piacere di ascoltare Allan Stratton in un evento del festival letterario Mare di Libri a Rimini. I had the pleasure to listen to Mr Allan Stratton during an event at the literary exhibition “Mare di libri” in Rimini. Uno scrittore onesto con il proprio lavoro e disponibile verso i lettori. 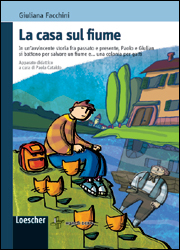 A pelle una bella persona che è stato interessante conoscere attraverso un romanzo come “La casa dei cani fantasma”. Un autore onesto c’è nelle sue storie. A writer honest with his work and friendly with his readers. 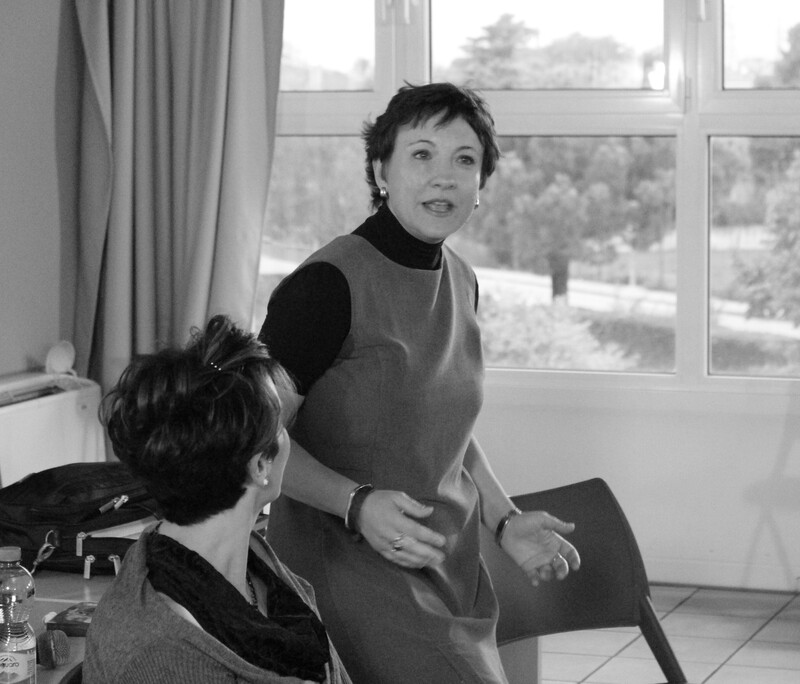 Instinctively a beautiful person who was nice to meet and to know through a novel like “The dogs”. You can feel and appreciate the honest writer in his stories. I libri uniscono… together with books! Ecco una conchiglia che mi hanno regalato i ragazzi siciliani durante la festa del Libro di Valderice, ripescata ieri nella mia borsa! 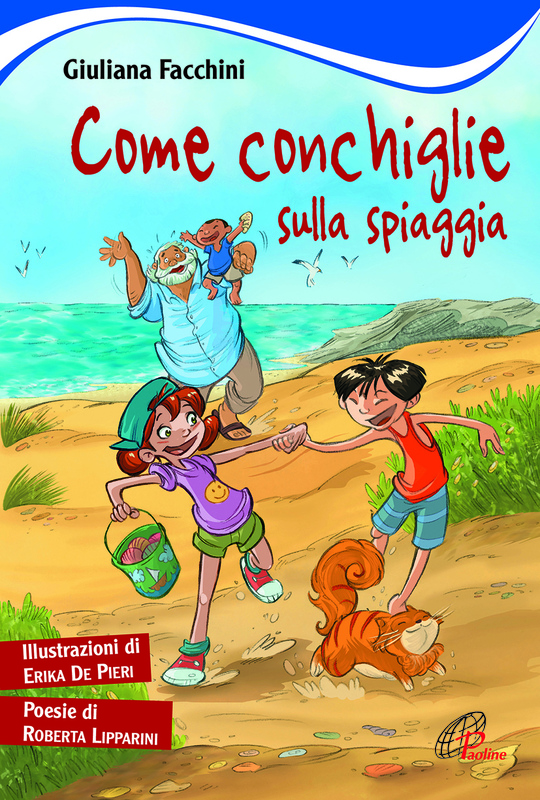 L’ho messa tra le conchiglie del Mar Ligure che mi diede la mia amica Anna, cui è dedicato il libro “Come conchiglie sulla spiaggia”. Anna che ama il suo mare e il suo vento era i miei occhi, insieme ai miei ricordi, mentre scrivevo “Come conchiglie sulla spiaggia”. Il piatto delle conchiglie è il dono dei ragazzi di una scuola di Treviso, fatto da loro nel laboratorio di ceramica! Here it is a shell the Sicilian boys gaveme duringthe Valderice Book Fair that i found yesterday in my bag! I put it among the shells from the Ligurian Sea sent from my friend Anna, to which i dedicated my book “Come conchiglie sulla spiaggia”. 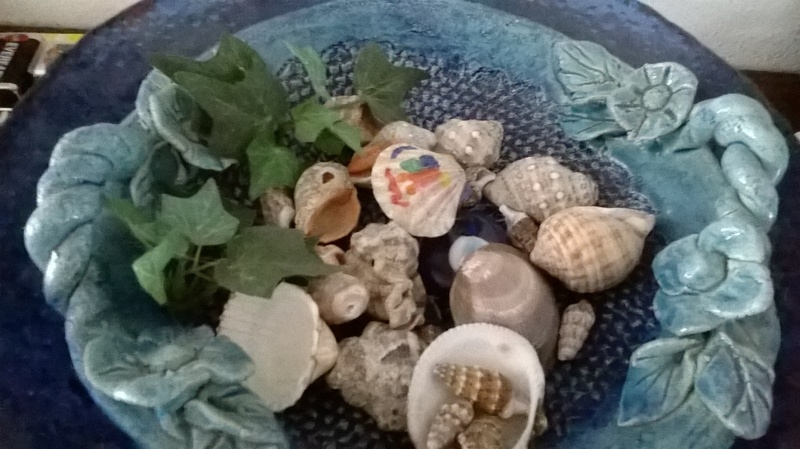 The shells’ plate is a present from the students of a school in Treviso: they did it during their ceramic lab.